Video technology has unwittingly brought chin augmentation surgery into the forefront of facial plastic surgery procedures. This is not surprising, given how pervasive video chats have become in our everyday life, from job interviews, client meetings, conference calls, online dating, to catching up with friends. And,the fact that we normally gaze down into a web camera, which is one of the most unflattering angles. This angle accentuates the waddle under the chin and foreshortens the face. Over time, the chin and the jawline are among the first to show signs of aging. People are considering chin augmentation as one of the ways to improve the contours of the neckline and restore their youthful look. A recent study released by the American Society of Plastic Surgeons (ASPS) in January 2012, shows that chin augmentation is the fastest growing plastic surgery trend --- indicating a 66% increase for women and a 76% increase in procedures for men in 2011. Chin surgery, also known as Mentoplasty, is a surgical procedure to reshape the chin either by augmentation with an implant or reduction surgery on the bone. 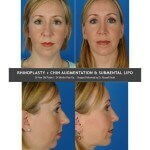 You may also see chin enhancement surgery referred to as a Chinplant or a Chin Implant. This is a relatively simple procedure that can have very dramatic results. While chin augmentation may be done as an isolated procedure, it is also very commonly combined with other facial plastic surgery procedures such as rhinoplasty, facelift and liposuction, to achieve optimal facial balance and harmony. 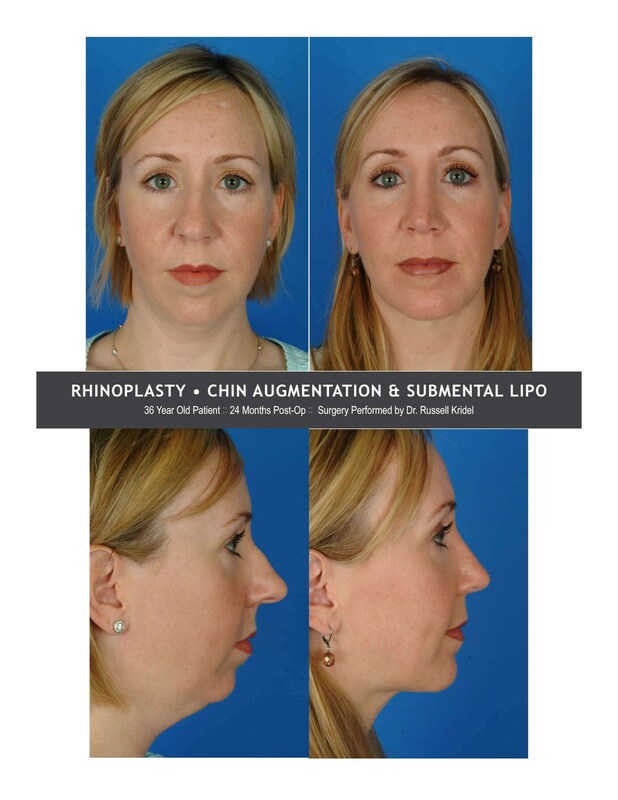 Dr. Russell Kridel, Houston, TX, has performed hundreds of chin implant procedures. He is considered an expert in chin augmentation surgery and has published numerous medical journal articles on Facial Rejuvenation and Rhinoplasty, as well as taught his techniques to facial plastic surgeons and general plastic surgeons all around the world. One of his journal articles that relates to Chin Implants and Rhinoplasty was published in Facial Plastic Surgery Clinics of North America, Nov 1999; Vol. 7, Issue 4: 453-479. However, Dr. Kridel cautions that every patient is different and a chin implant by itself may or may not be the most appropriate surgical technique to help restore a more youthful appearance. Patients interested in improving their neckline should take into consideration the range of options that best suits their individual needs, which may also include single or combined procedures, such as Chin Implant, Facelift, Ulthera and Liposuction. When you come in for your consultation, Dr. Kridel and the Facial Plastic Surgery Associates team members will show you examples of before and after photographs of his patients. View additional Before And After photos here.